The observations and opinions of a life-long naturalist. An early spring day seemed like a perfect time for a hike in northcentral Pennsylvania’s Bear Pen Hollow. Pennsylvania has Bear Pen (and Bear Trap) Hollows beyond counting; some are shown on the topographic maps produced by the U.S. Geological Survey but there are many others that have not been “officially” named. Those valleys are named for the log or metal bear traps that were once located there. 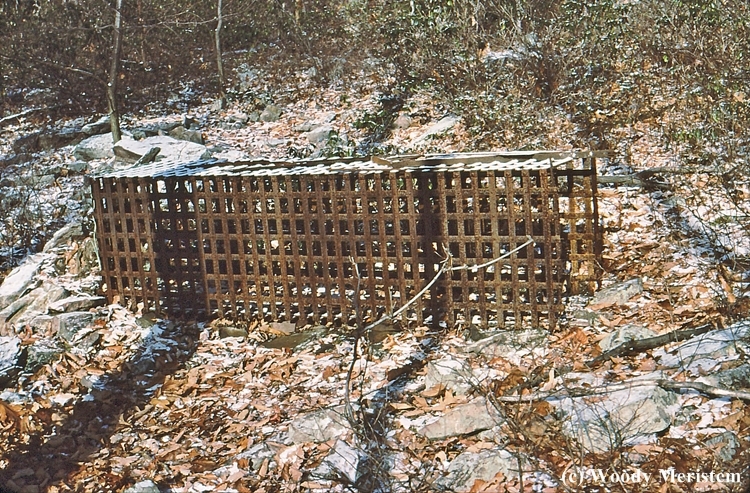 A number of years ago several of us found one of those metal bear traps, now long abandoned. The stream in this valley isn’t large, but it’s a fairly high gradient stream, falling a bit over 500 feet in about a mile. As it flows along it drops over the rocks that make up the bed of the stream, forming a succession of tiny waterfalls. Large waterfalls – Niagara on the New York/Ontario border (188 feet high; 3,400 feet wide), Venezuela’s Angel Falls (2,648 feet high), Bridalvail Falls in Yosemite National Park (617 feet high), Yellowstone National Park’s Lower Yellowstone falls (308 feet high) and Africa’s Victoria Falls (354 feet high; 5,600 feet wide) – are truly spectacular and justifiably draw thousands of tourists annually. However, it’s quite possible to enjoy a beautiful waterfall without traveling hundreds, or even thousands, of miles. Take a walk up any high-gradient stream and you can enjoy waterfalls. These aren’t spectacular waterfalls hundreds or even thousands of feet high, they will be mini, or even micro, waterfalls. Their height if measured in feet will be in single digits or perhaps they will be measured in mere inches. Friends and I have enjoyed mini-falls like these for many years as we’ve hiked the hills of northcentral Pennsylvania – there are probably a few mini-falls on a stream near you. A life-long naturalist, managing natural and human impacted ecosystems has been my vocation for more than 45 years and I've been photographing those ecosystems almost as long. Husband of a wonderful lady, father of two and grandfather of three, resident of northcentral Pennsylvania. The contents of this blog are copyright by the writer and may not be reproduced in whole or in part without permission. This notice is to let visitors know about Google's use of certain Blogger and Google cookies on this blog, including Google Analytics and AdSense cookies.